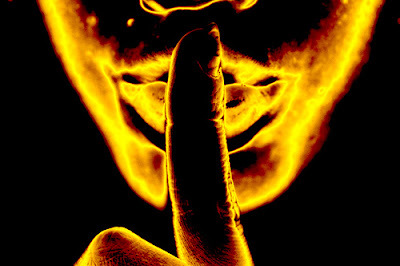 An arty shh, courtesy of Novembre85. A recent report on the BBC has been jumped upon by many bloggers as evidence that there is in fact a ‘class divide’ between different social networking sites. Well, considering there was another piece of research telling us that your average social networking person is a member of about four social networking sites, you could easily doubt the validity of the former. As I’ve stated before, I think the former is wrong-headed; it’s not class based, it’s design/intention based. And as for the other piece of research, it doesn’t surprise me. Simply put, people don’t appear to have a great deal of loyalty. But I would like to take issue with the conclusion of the latter. I’m a member of…oooh, quite a few social networking sites. But Facebook is the one I turn to most often (read: 90% of the time). And, given the recent widget explosion, it seems I’ll be there for a while longer. Though lots of people are very concerned that the widget explosion could lead to a mass commercialisation of the site, turning the clean and pleasant design into an ad riddled MySpace. Which, frankly, I don’t think anyone wants to see (unless it’s for something I actually want). And these things lead me to think about another potential problem, highlighted by Mike Butcher, one of the speakers at the PSFK Conference I went to (yes, I will write the rest up, prompted by my reclaimed Moleskine). Namely, what happens when some of these social networks become more closed circles, as he predicts they will? I mean, will we have a Skull and Bones social network? Doubt it, to be honest (the fear it’d be hacked would put paid to that). People will begin to get fed up with having so many friends, with their worlds converging (personally, I have 249 friends on Facebook at the moment, and I’m purposefully not putting my blog’s URL up there – I’m trying to keep my home friends and my ad friends separate for at least a little while longer), and will begin to break away. I’m not sure whether I will…probably not, but who knows? Don’t get me wrong, I’m not advocating lots of mini networks, where each one serves a purpose. No, I think that’s equally as short sighted. But I am interested to note just where Facebook goes from here. I mean, it has countless widgets, unlimited groups and so forth. Yes, there are privacy settings, but the amount of people not using them is unbelievable. Most people, in my limited experience, don’t self-regulate to that extent – and most of the time, it’s unbelievably refreshing to see. The title of the post references secrets – and with good reason; I do worry a bit, personally, about things I’ve said online (don’t we all? ), especially considering that they can be stored for all eternity – and I do wish there was a more secretive way of social networking (not blogging per se, but Facebook – do I really want potential employers to see me after a few beverages/in dubious fancy dress?). Of course, this matters less in a career like advertising, where a bit of character is encouraged. But imagine what it must be like for someone’s political career/law career say. The one saving grace is that the whole world is learning this, and growing up at the same time. People are beginning to realise that being an online presence, as it is, isn’t all its cracked up to be, and you have to self-moderate. That said, if the worst it’s doing is teaching a bit of common sense, it can’t be that bad. Again, I return to the darker element (and I wish I could have gone to this) of the internet. If this rise in social media leads to more private social sets online, what’s to stop people destroying, say, other people’s lives/careers with a well-placed lie? After all, if we believe James G Watt, “A lie can run around the world before the truth can get its boots on”. Say, in this hypothetical situation, that a lie is told. The person who the allegation is about is say, on holiday. Days pass. People begin to wonder/believe what’s been told, and the time away helps them decide. Simply put, people have to become their own PR entities, which shouldn’t be the way it is. So perhaps it is a good thing that we live in such social networked, open times. I’d rather have a single forum where I ‘am’ online, in addition to my blog. It’d probably save a helluva lot of problems in the long run, regardless of my worlds overlapping. NB: Before you ask, yes, I have been looking at Orwell and Huxley’s pages on Wikipedia, hence the Orwellian thinking in this post. ← Why good branding is like Marmite..